Nissan has announced the latest Leaf electric car model and it’s made a huge jump forward with a 40 percent increase in range, and plenty more besides. The new Nissan Leaf can manage 235-miles on a single charge, beating the previous 155-mile range comfortably. This is now far enough to include long distance journeys. But if you want to go further there’s a special skill to help there too. The new Leaf will charge from empty to 80 percent in just 40 minutes. So if you’re stopping for a coffee and some munchies mid family holiday trip, there should be just enough time for a toilet trip too. This, of course, is with quick chargers. At home the Leaf can manage a full charge on a 6kW charger in 8 hours or on a 3kW charger in 16 hours. As if all that wasn’t cool enough, the Leaf packs some serious self-driving smarts too. ProPILOT offers autonomous single-lane driving meaning you don’t need to steer or touch the pedals at all. This also parks the car with complete control so the driver doesn’t need to press a thing. Then the e-Pedal allows you to accelerate, decelerate, stop and hold all with that one smart pedal. Nissan has also given the Leaf a sportier new look with cleaner lines and a new rear spoiler integrated into the window and diffuser bumper to reduce drag and enhance stability. There’s also still still that V-Motion grille and floating roof. 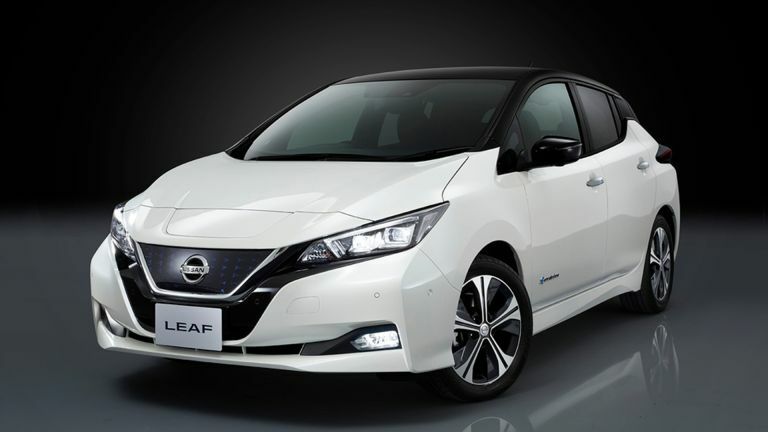 The new Leaf will be an upgrade on the current 24kw starter model - it'll be 40kWh - and will be available in white, yellow, red, light blue and new Spring Light Green plus a two-tone option. The Nissan Leaf will be available on 2 October in Japan and will reach the rest of us by January 2018. Expect it to start at just north of £25,000 with the Government EV Grant - the current 30kWh Leaf Acenta is £25,790 with the grant.